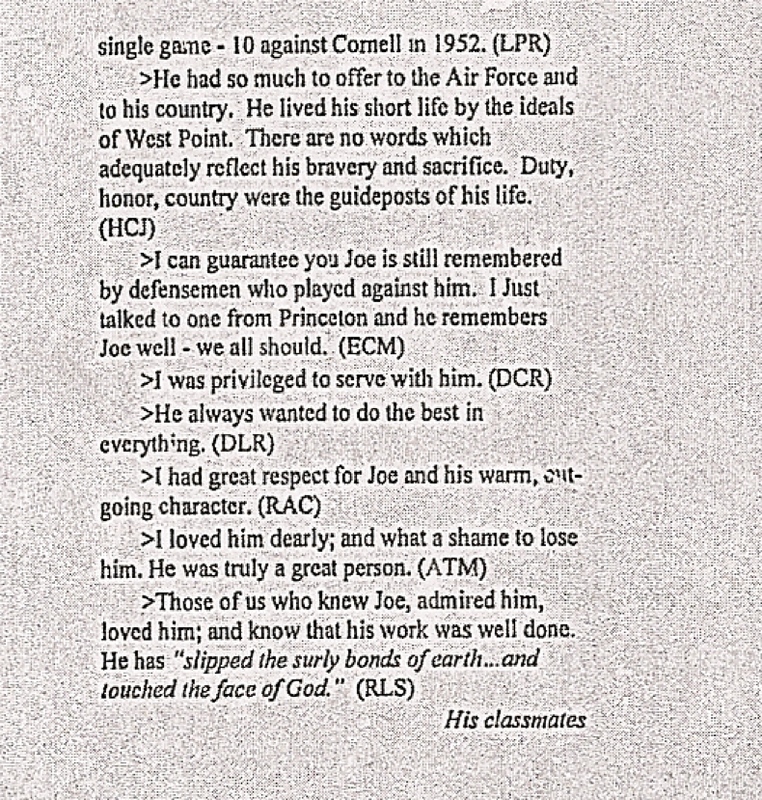 In 1952, Cadet Joe Austin of the U.S. Military Academy Lacrosse Team used a six foot stick while playing crease attack. 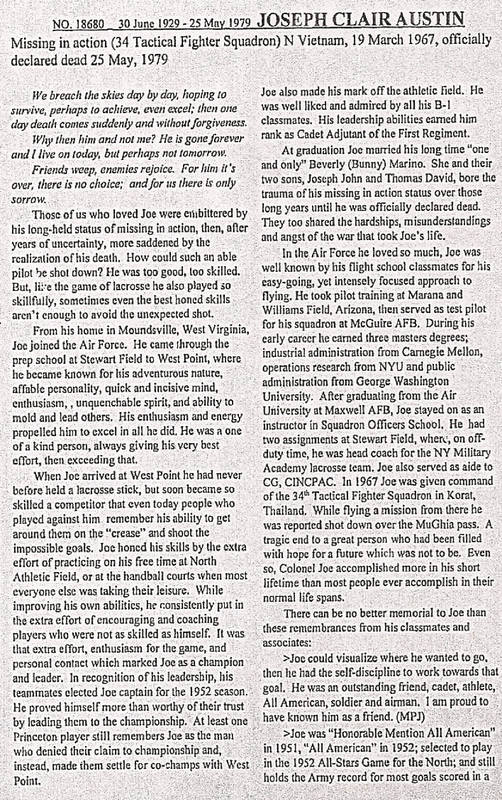 Joe made an all-time West Point record of ten goals in one game and had a career total of eighty goals for three years of play which (when the story was told) was still a school record. He was selected 1st team All-American at attack. Home: 2003 Center St. Moundsville, W. Va. Date of Entry to Academy? Coaches / Assistant Coaches ? Significant events, Information, or Write Up about Athlete ? Class Standing 186 out of ? Officer Assignment to the Academy ? 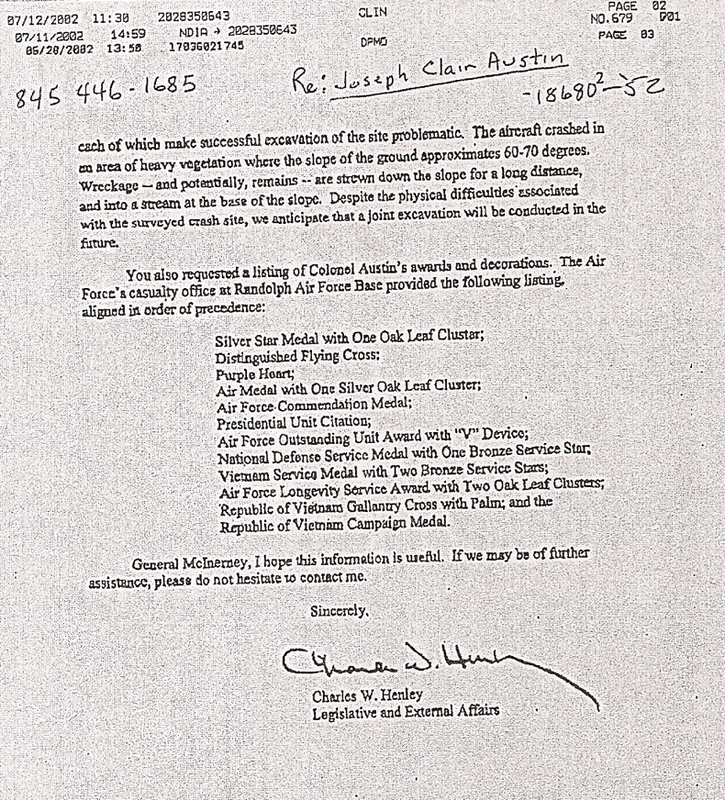 This entry was written by forwhattheygave, posted on May 7, 2009 at 1:13 pm, filed under Army Greats and tagged 1952, Lacrosse. Bookmark the permalink. Follow any comments here with the RSS feed for this post. Trackbacks are closed, but you can post a comment.